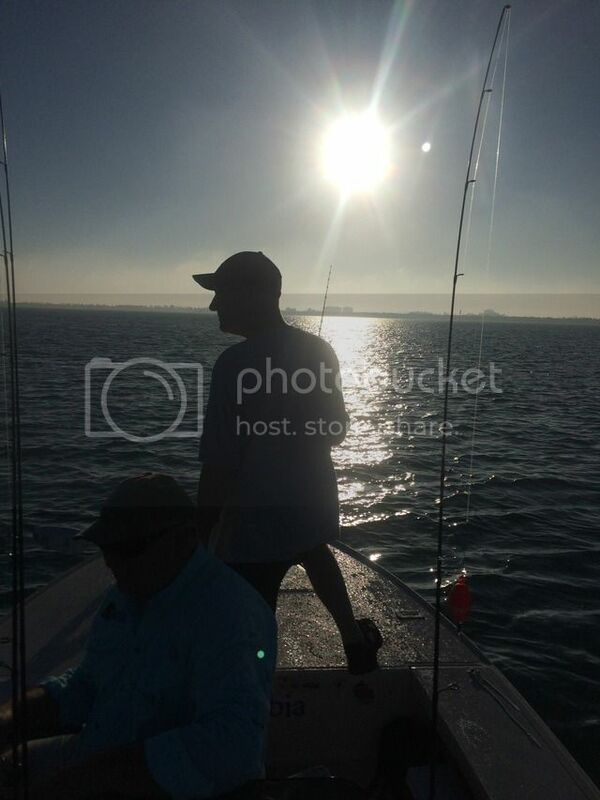 April comes to a close and I am looking forward as May brings beautiful weather and great fishing to the Treasure Coast. Summer did arrive early with some hot temperatures and lots of rain action around the area. It's obvious that the rainy season is here. Look for afternoon rains most any day as May brings us more sunshine and hot temperatures. The water has been mostly clear around the Fort Pierce area before the recent rains. 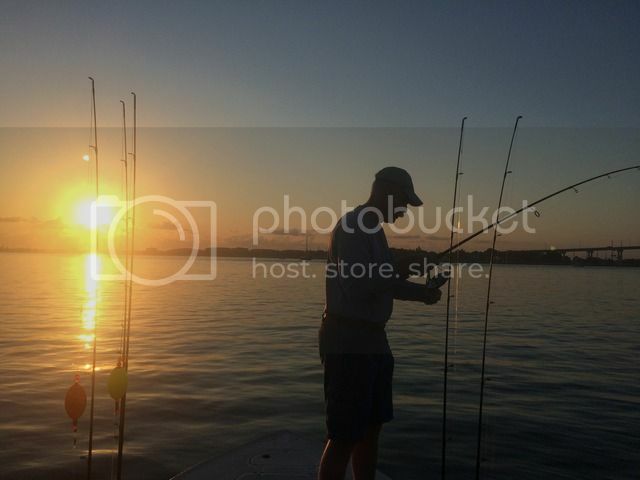 Fishing has been good around the area since the water has become more comfortable to the fish. Early mornings try top water lures on the grass flats for sea trout, redfish and snook. As the sun rises, switch to DOA shrimp or CAL jerk baits and try deeper pockets or drop offs on the moving tides. The trout bite has picked up along with the redfish and snook action. Bear Point, Round Island, Queen's Cove and Middle Cove have all been productive for nice size trout lately. 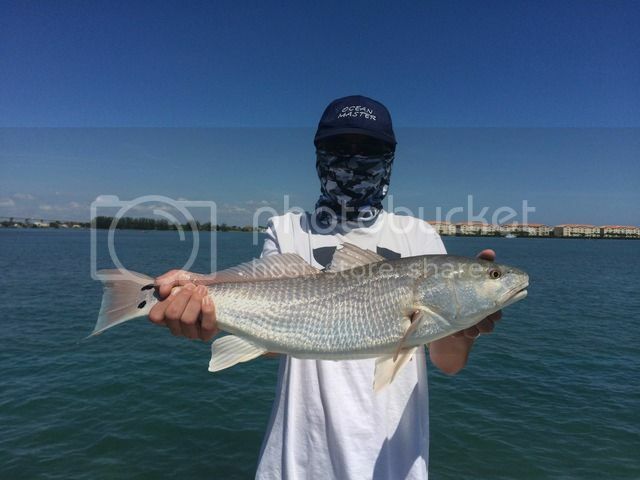 Our redfish have come from under the mangroves along with several 27" snook recently. They are hanging under the shadow lines, so accuracy is critical to getting the bite. 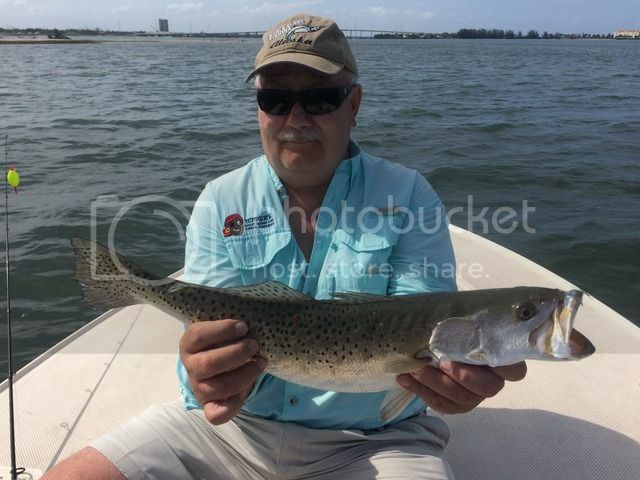 The inlet and turning basin has held tarpon, Spanish mackerel and jacks on the incoming tides. 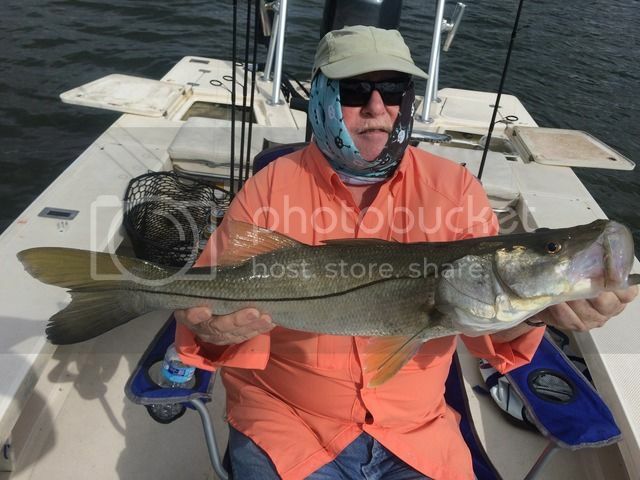 Snook season will close June 1st. John and Tyler caught a good variety of fish including snook, redfish, sharks and sheepshead to name a few on a beautiful day on the water. 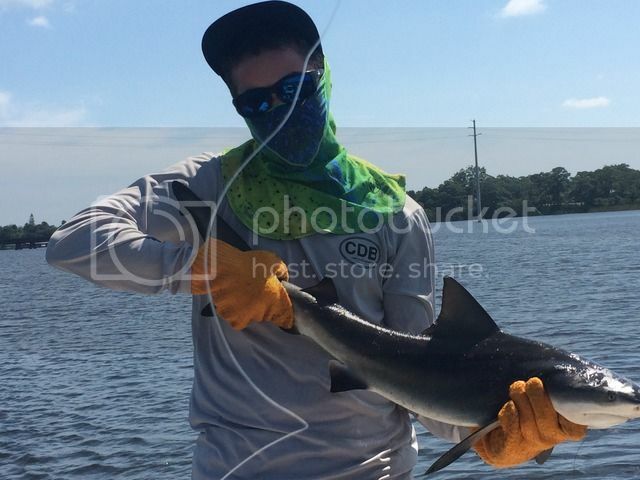 Captain Pat and Ethan joined me in Sebastian to shark fish. 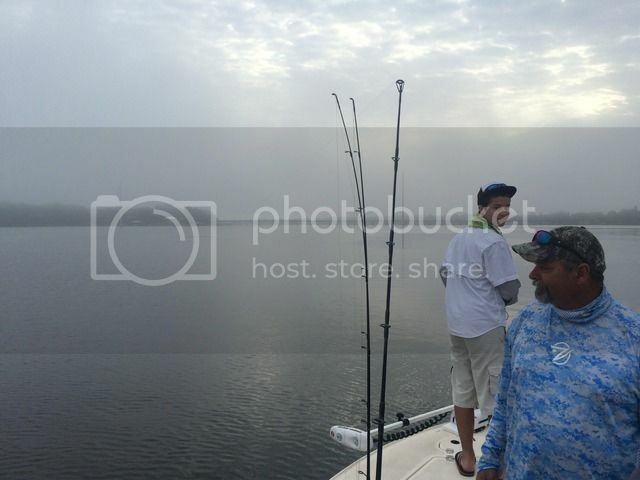 Ethan caught a nice bull shark after losing several that morning. Ed, Charlie and Brody joined me on another gorgeous day on the water. 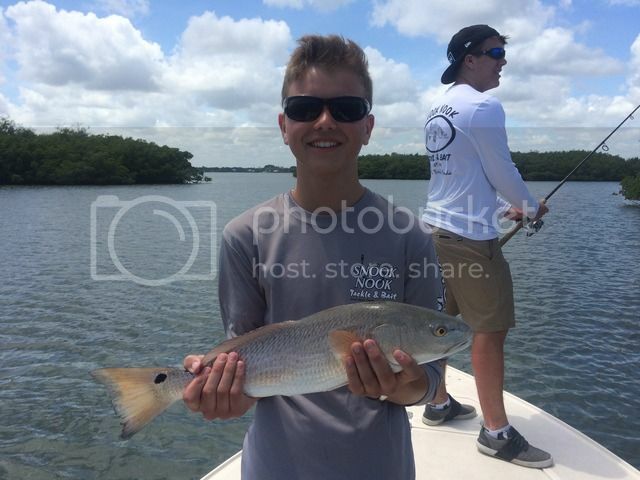 The guys caught redfish, snook, drum and sheepshead among a number of other species for a good days fishing. Terry and Stella caught trout, bluefish, drum, sheepshead and several other species for a nice day fishing on the Indian River. 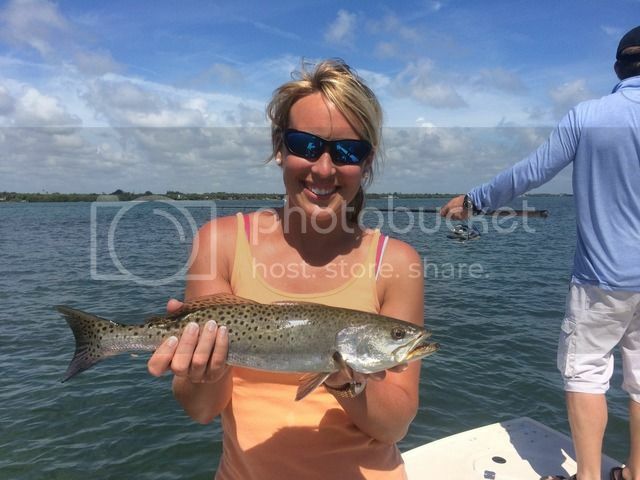 Bonnie and Brice were out again for some nice trout and Brice just missed a slot snook at 27" to top off the morning. It's been exciting this week on the river. It's been hot this month and using sunscreen is essential to prevent sunburn. Summer arrived early and make sure you protect your skin when enjoying the fishing action around the area. It appears like its going to be a hot summer ahead! Enjoy yourselves and stay safe! 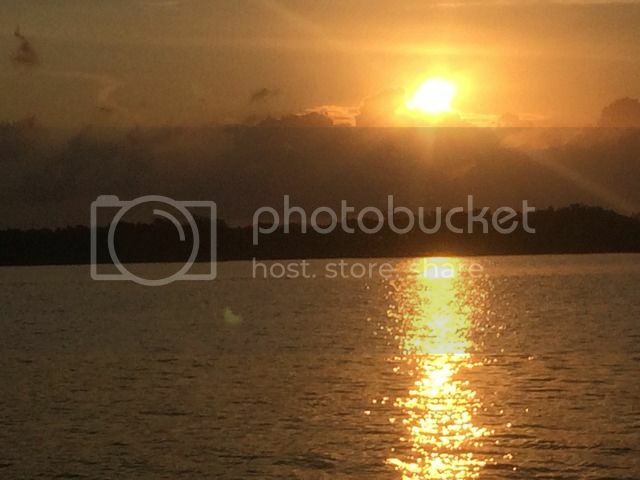 Once again we have been showered with lots of sunshine and warm weather on the Treasure Coast. Seems like we went straight to summer as winter lost its grip, but I'm not complaining! As we enter into the summer patterns, look for afternoon showers each day and plan your trips accordingly. Lots of familiar faces this week has made it fun seeing some friends again. 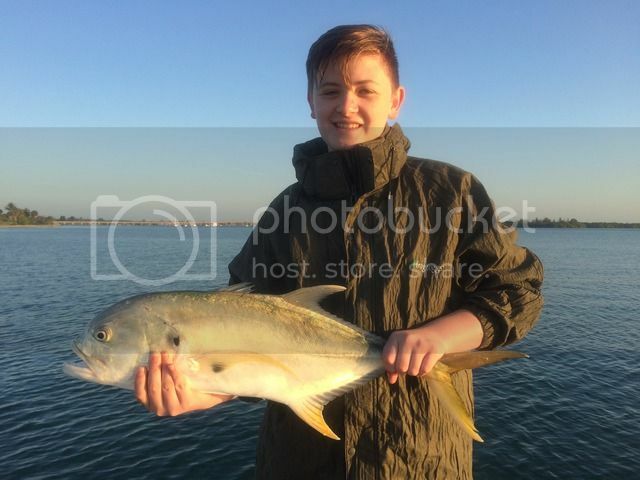 Fishing was somewhat slower this week due to the recent full moon and spring tides lower than normal. We still caught fish in spite of conditions, but things are getting back to normal now. Lots of nice trout are on the grass flats this month. 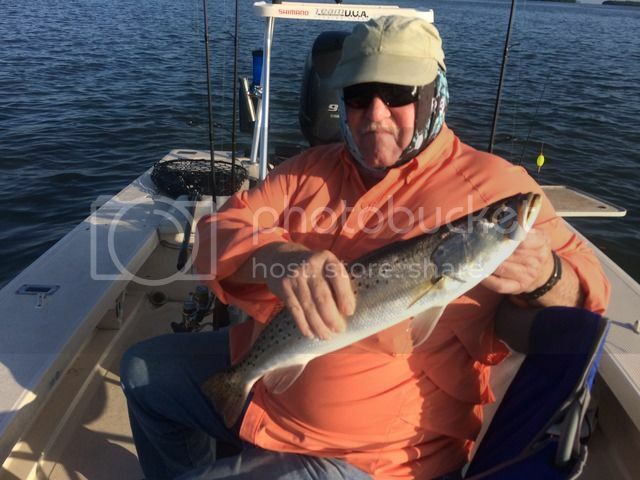 Brice and Bonnie have caught several nice trout this week and will be back next week to try again. Todd was out with Leanne and Cindy this week. The girls caught several nice trout to top off the morning. That afternoon, Nick, Phil and Colton had their chance to top the gals. They ended their day with a nice redfish and two snook. The 27" snook gave us a challenge getting it out of the mangroves, but with a team effort we landed it for a photo. Jamie and Jeremy were out on a beautiful day, but the bite was slow for us. We scouted the river to show them areas to fish in the future and had a good time anyway. 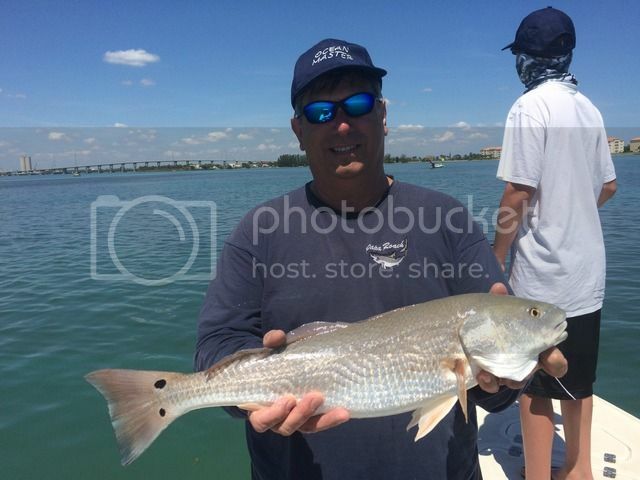 The bite has picked up again as the tides are in better favor for anglers this week. 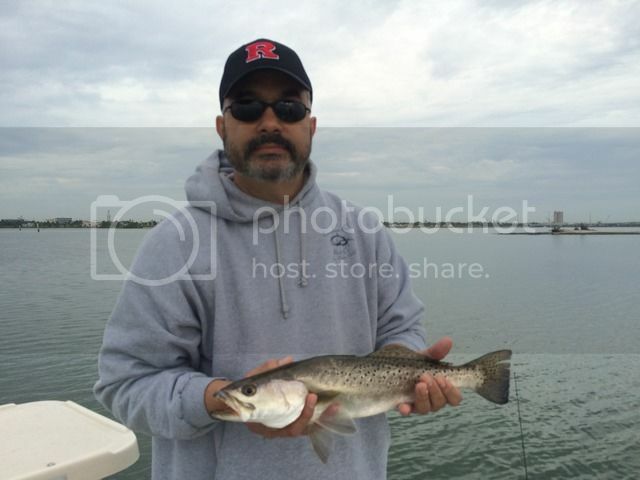 Grass flats using CAL jerk baits, shad tails and live baits are producing nice trout for anglers this week. 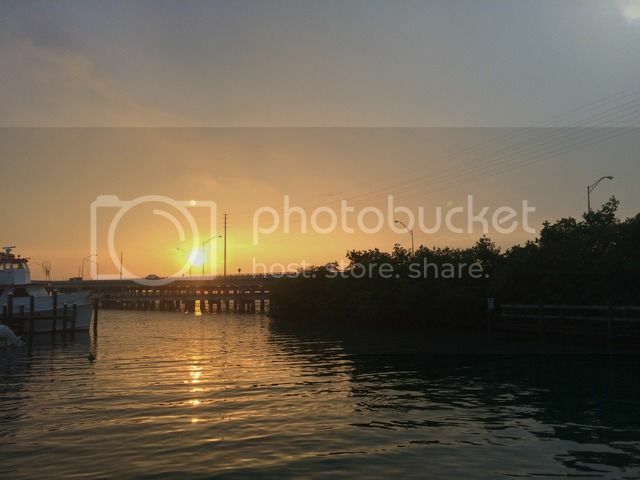 Try around the mangroves for snook and redfish during the heat of the day. 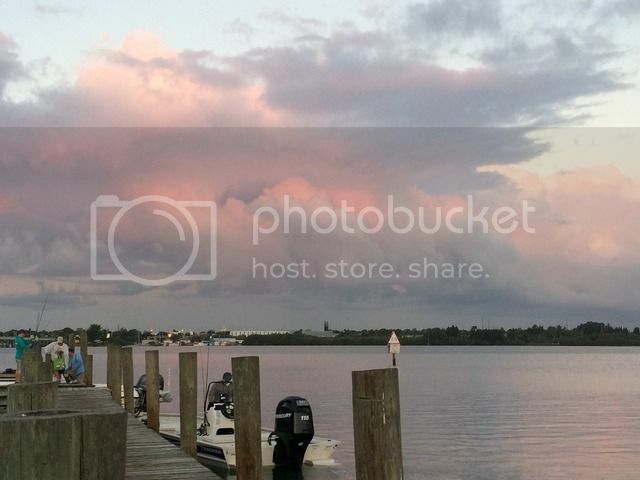 Snook are hanging around docks, bridges and sea walls this month. Snapper have been showing up in the river and some keepers are being caught on live or dead shrimp. 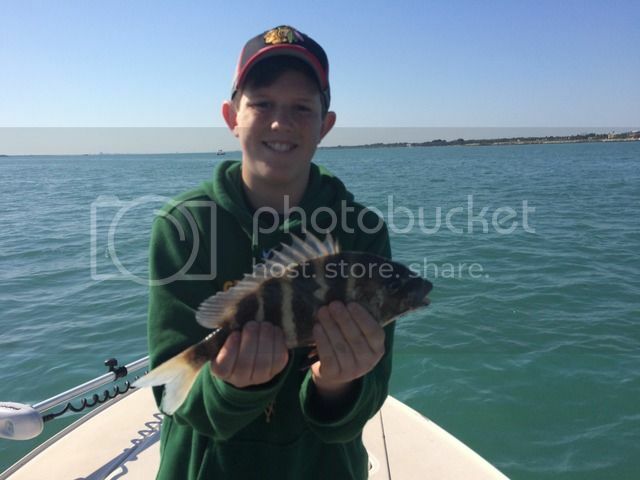 There are also some sheepshead to be caught as well. 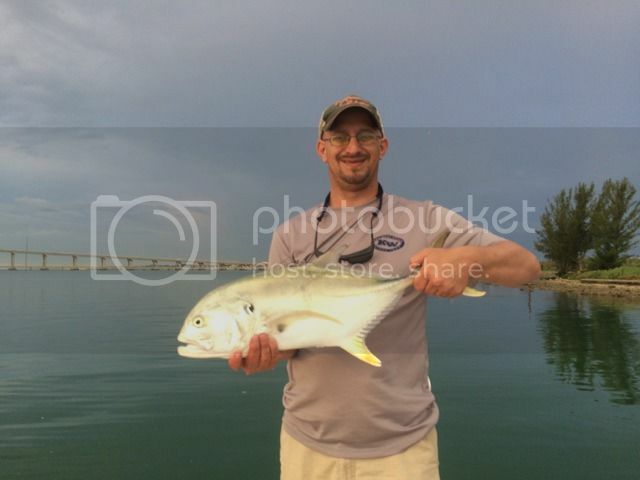 Lots of jacks and ladyfish all over the river if you just want to bend a rod. It's been a hot April so move to deeper water as the day gets hotter. Have fun! I continually preach sunscreen to anglers. I have had a few, who didn't listen well, get burned lately and regretted it. Use plenty of sunscreen and drink lots of water this time of year. Sunburn and dehydration are not pleasant thing to deal with. Stay safe and enjoy the fishing this month! 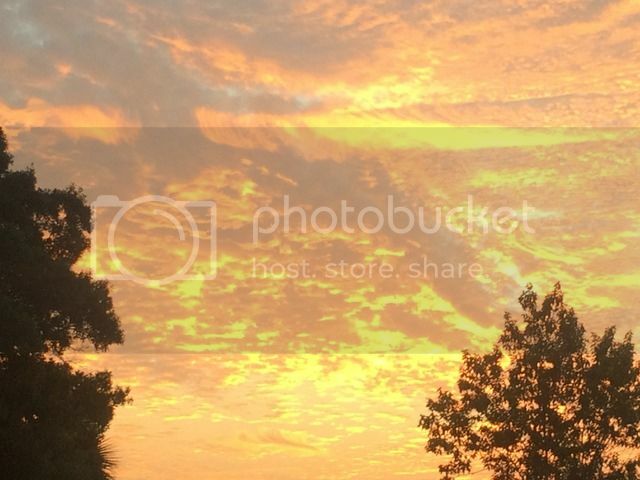 How can you describe our weather lately....simply beautiful! While April is typically windy this time of year, it has been absolutely gorgeous this month. Light winds and sunny skies have been the forecast most of the month. With all the spring breakers around the area, you couldn't hope for any better. Water temps have been in the mid to upper seventies and we have had a good variety of fish biting around the area. 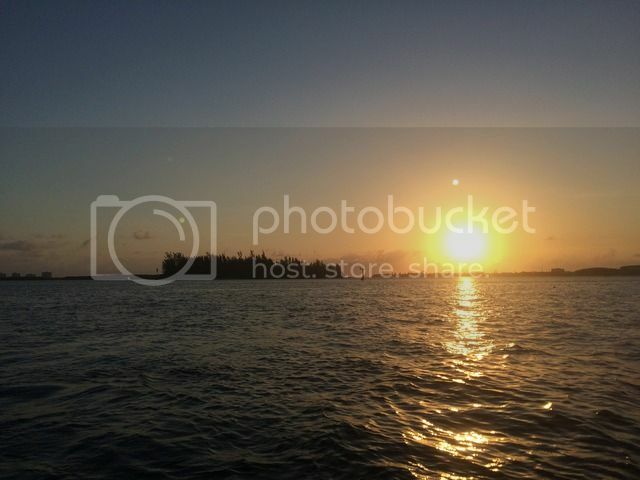 I have enjoyed seeing lots of my annual customers back on vacations and made a few new friends as well. They caught a good variety of species and we shared fish tales and smiles. 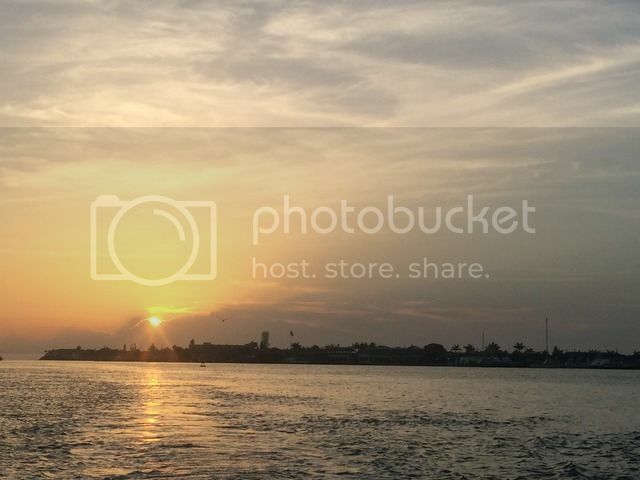 It has been another week on the water. 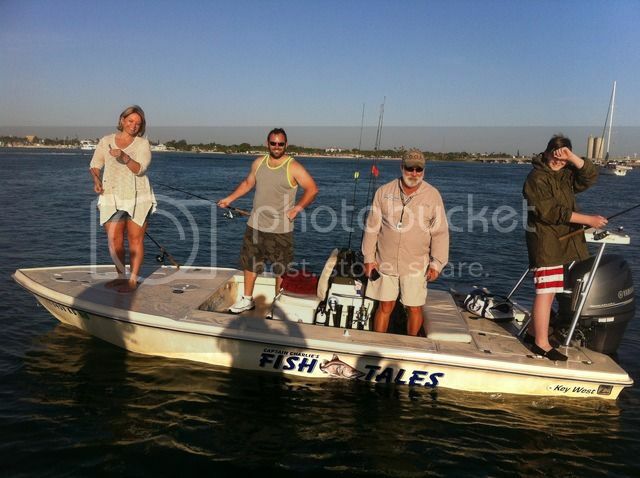 Tom, Lisa, Owen and Ben caught lots of fish including pompano, mackerel, sheepshead and others. 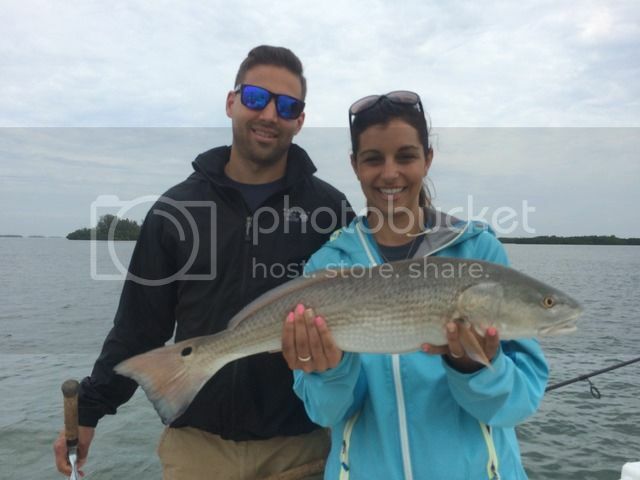 Cheryl, Frank and Steven were out a couple days and caught trout, redfish, sheepshead and many other species. Francis and Faith found trout and jacks on the grass flats. Annie, Brandon, Mike and Garrett caught lots of fish on a fun filled day. Wayne, Bill and Will also found a variety of fish on a windy morning. Steve and Michael found some nice jacks and a big trout to end a beautiful morning. It was fun! Look for trout on the grass flats hanging in the sand holes. DOA shrimp or Deadly Combos are great lures for them. We have found our redfish in a variety of places, but the mangroves are one of their favorite areas to hide during the day. 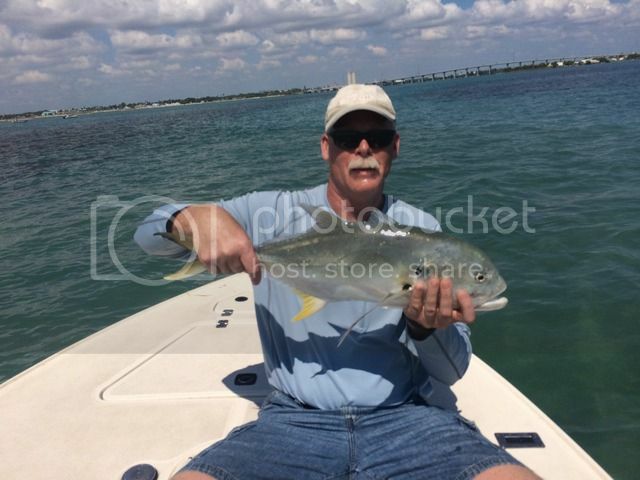 Snook can be found around the inlet, bridges, docks and sea walls There is also lots of other species to enjoy! 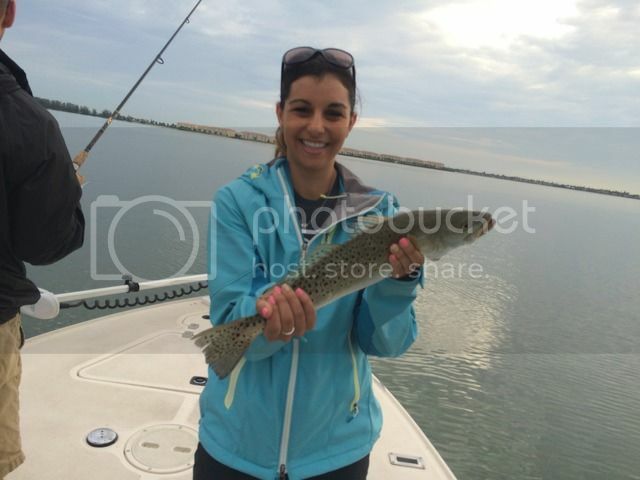 April is a wonderful month to fish on the Treasure Coast! It's been hotter than normal lately. Use plenty of sunscreen and drink lots of water. Bad things could happen if you don't! Stay safe and enjoy the fishing this month! 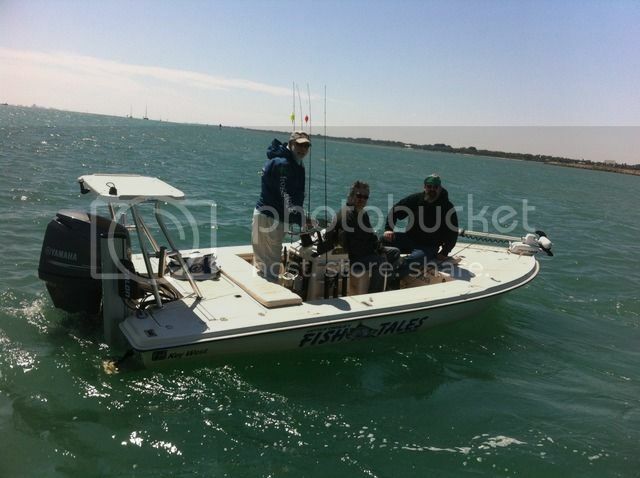 March has come and gone with lots of successful fishing on the Treasure Coast. It had its ups and down in weather, but the fish continued to produce some nice catches for our anglers. We have enjoyed the wonderful weather that has brightened our area and look forward to April's fishing. Have fun this month! It has been a busy week for us and seeing the regular clients and making some new friends has been a fun part of the year. It was a joy for me to see my old friends and make some new ones as well! 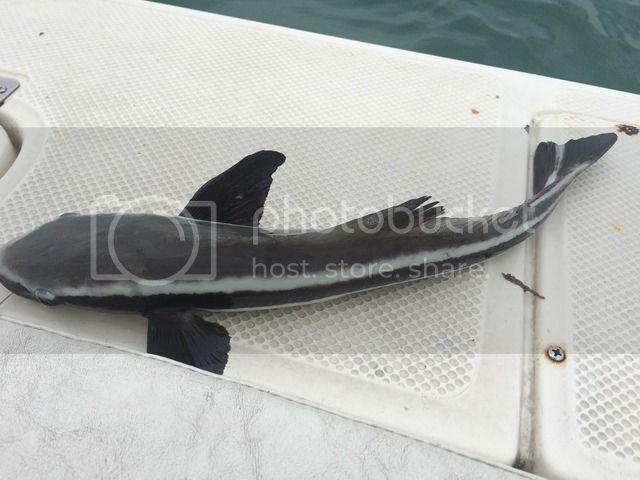 Our catches have been many and varied lately. Redfish and trout have been our main targets most days. 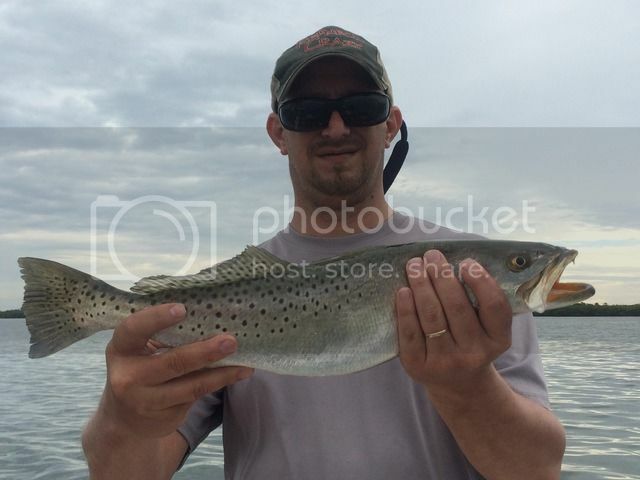 Turner Mullins topped off their day with a nice 29" spotted sea trout. 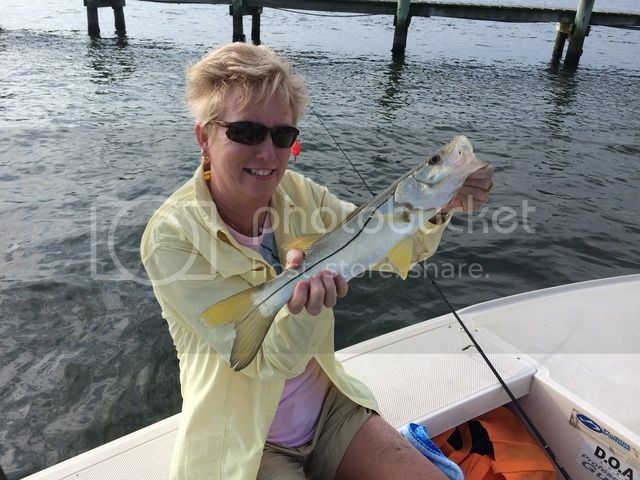 Shirley and Lori boated one nice redfish and six snook. 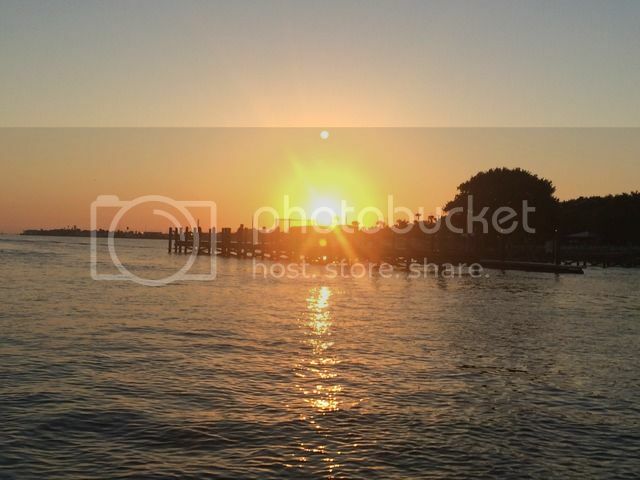 Everyone has caught their share of sheepshead, snapper, jacks, ladyfish and mackerel. It has been a good bite for us. 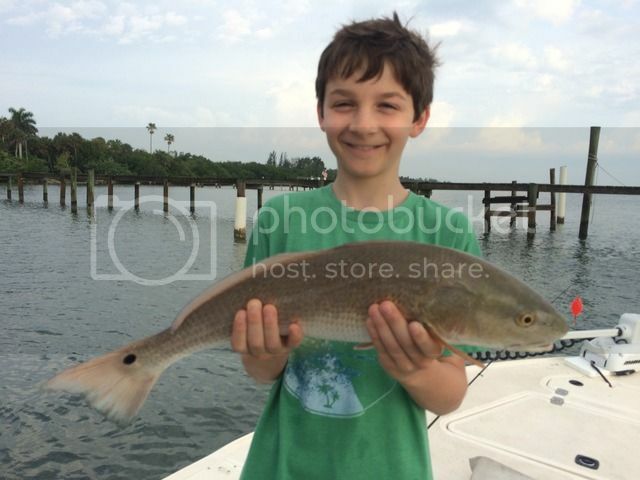 Dennis and his family even caught a juvenile cobia in the river. We have had lots of fun, sun and smiles! It's time to start using those top water lures in the mornings or late evenings. Now that the water temps have gotten back into the 70's, the fish will be more active and hungry. Switch to DOA shrimp or CAL jerk baits later in the mornings for more action on the grass flats. Sub-surface lures, like the Mirrodine will also work well for you. The big trout are on the flats and now is the time to seek out that trophy fish. 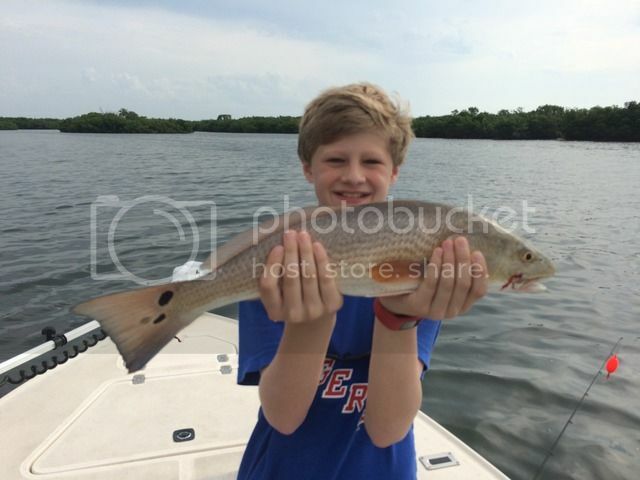 Redfish have been biting all spring around the river. Look for them around docks, mangroves and grass flats. 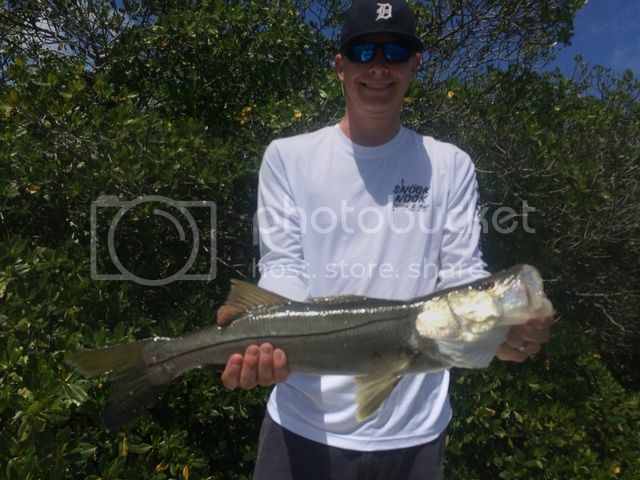 Snook have been biting around the inlet, docks and sea walls for many anglers. There are many other varieties of fish to be caught this time of year. 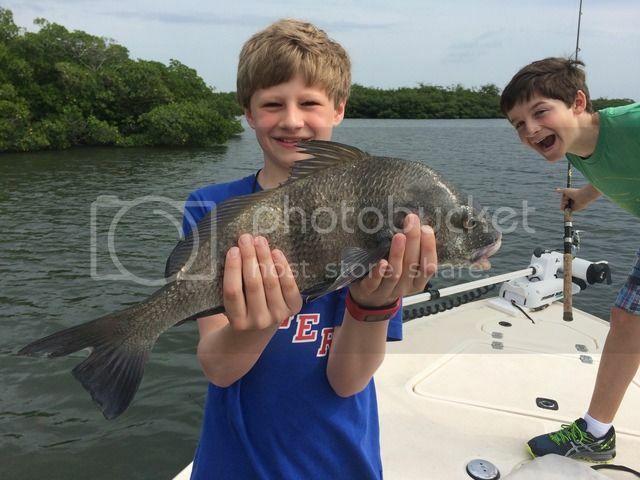 April is a super time to enjoy the fishing on the Treasure Coast. Have fun and get out fishing soon! The sun has been out and warming things up. Use plenty of sunscreen this time of year. There are lots of anglers getting sunburned this time of year and you don't want to be the next one. Drink plenty of fluids as well. 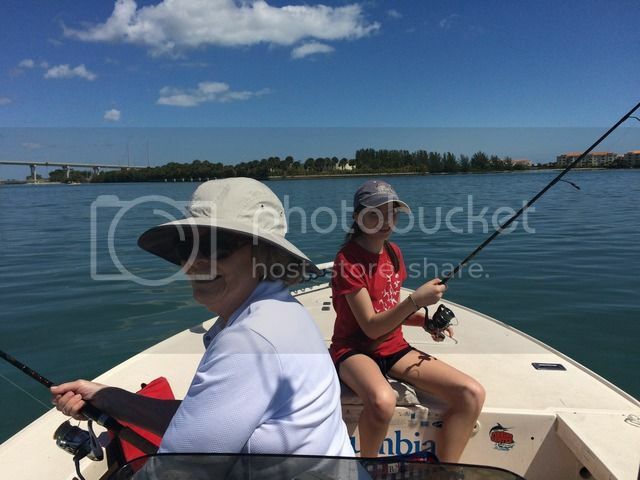 Enjoy the sunshine and fishing!